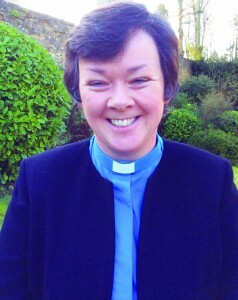 About The Archdeacon of Dorchester: : Judy French was appointed Archdeacon of Dorchester in 2014 having been Rector of St Mary’s Charlbury and All Saints, Shorthampton,where she has been in post for 17 years. Judy had the privilege of being part of a historic moment when she was one of the youngest of 37 women who were among the first to be ordained priest in the Church of England in Coventry Cathedral in 1994. “It was 20 years ago and it was the beginning of something exciting for the whole Church." Her role will bring back her deacon’s experience of servanthood. “It’s about serving our churches, clergy and people, and working with diocesan staff, to help them with the challenges of church life and mission today,” said Judy,who has family in Singapore, Washington DC and New Zealand, supportive parents and some good friends.